Artisan's work suit 02100/213007 Green one piece flame retardant. Long sleeve with hemmed cuffs * 2 Breast pockets with flaps and stud closure * 2 Side pockets with side vents * Hip and rule pockets * Button fly. Boiler suit / jump suit. This is a flame retardant overall in a one piece style. This means it will cover your body from the neck down to your ankles and wrists. Should it get hot enough or caught in a flame it will burn much slower than regular materials and it will resist quick heat that would normally burn through or make a hole in a regular overall / boiler suit . It comes in a light Flame Green colour so you can easily tell it from your average overall / boilers suit. Having been treated with Pyrovatex to stop it from burning, it is good for welders grinders and people working with open flames to protect and make the overall / boiler suit last longer. It has been SABS tested and approved so you can be assured that it is made to the highest standards of quality. It is a tough durable and will last you a long time. It is not ideal in working with grease and other staining agents as they will show up unless washed out completely. This overall / boiler suit is 100% cotton so it breathable warm in winter and cool in summer, it has buttons to close the front, making it breathable and adjustable for your comfort. 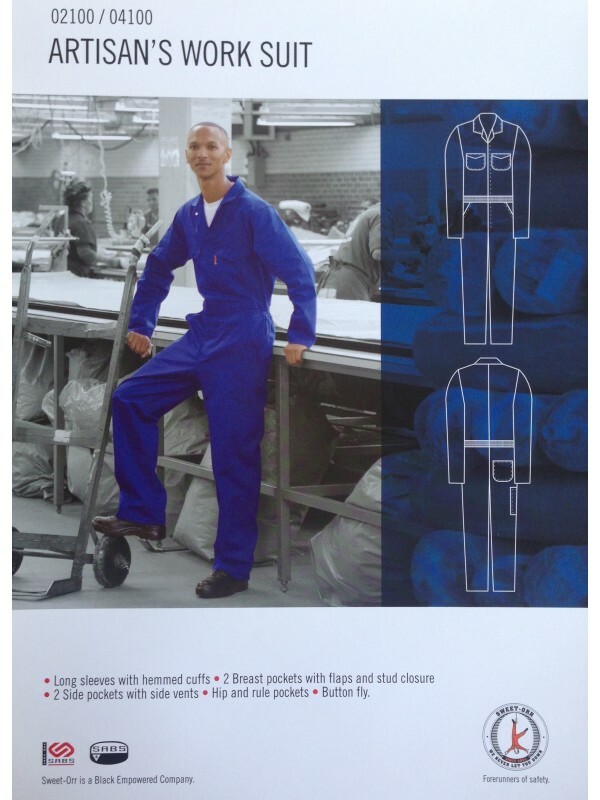 This boiler suit / overall is made from a 300gm material and is SABS quality approved. if you have any questions please feel free to write to us using the contact us page for more information.